Pioneer women had to bear children and bury them. They cared for their families and traveled alone when their husbands joined the Mormon Battalion. 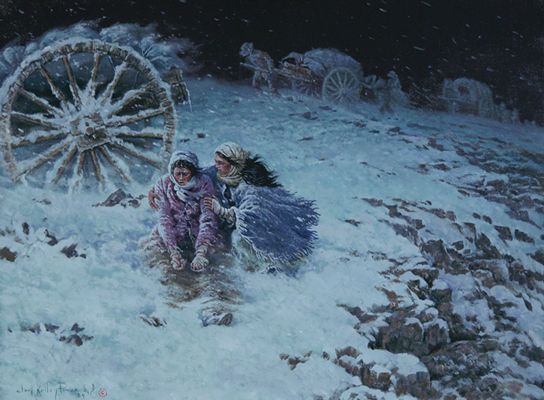 They pulled their children on handcarts in the freezing cold without shoes. Today, we show tribute to these incredible pioneer women by sharing their amazing stories of trials, faith, and miracles. We’ve organized these stories into nine accessible sections. 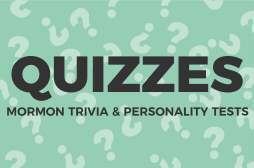 Select the principle you want to read more about, or scroll through to read all of them! 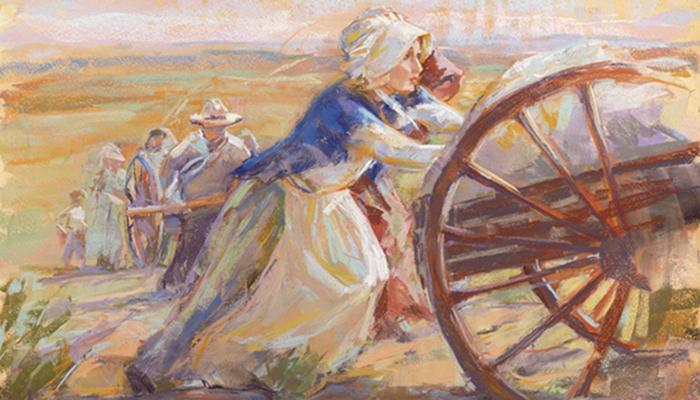 Pioneer women faced much loss, but they continued on their journey in faith towards Zion. Elizabeth Jackson is one such example. Her husband passed away after the Martin Handcart company crossed the Platte River, leaving her to travel alone while caring for her children. Elizabeth became very depressed as she dealt with this hardship. Then one evening, she dreamed of her husband. He said, “cheer up, Elizabeth, deliverance is at hand,” and the next day, rescue wagons from Salt Lake found the Martin Handcart company and provided support. I will not attempt to describe my feelings at finding myself thus left a widow with three children, under such excruciating circumstances . . . I believe . . . that my sufferings for the Gospel’s sake will be sanctified unto me for my good . . . I [appealed] to the Lord . . . I appealed to him and he came to my aid. To endure a journey such as this alone is a difficult thing to do. But Elizabeth knew she was not alone, she had God with her (Ensign article “LDS Women Are Incredible” ; Tell My Story, Too). Sometimes strength can be seen in compassion, especially when one has little to give like Emily Hill. She was converted to the Church when she was only 12 years old and was soon followed by her 15 year old sister, Julia. Their parents refused to let them be baptized or attend church, but the sisters would sneak out to sacrament meeting whenever they could. My sister broke down and was unable to walk and I remember asking myself . . . if it was possible for me, faith or no faith, to walk twelve hundred miles further. The flesh certainly was weak but the spirit was willing. I set down my foot that I would try. When the relief wagons found the company, she met with Joseph A. Young, who she had known from his mission in England. He cried when he saw Emily’s wasted condition and gave her an onion to eat. But she did not eat it, instead, she gave the onion to a man who was near death. The man would later say that her act saved his life (Follow Me to Zion). I have not the most distant idea [of returning] . . . our cause is just and must be onward . . . I did not embrace this work hastily: I came into it understandingly. I weighed the subject, I counted the cost, I knew the consequence of every step I took. 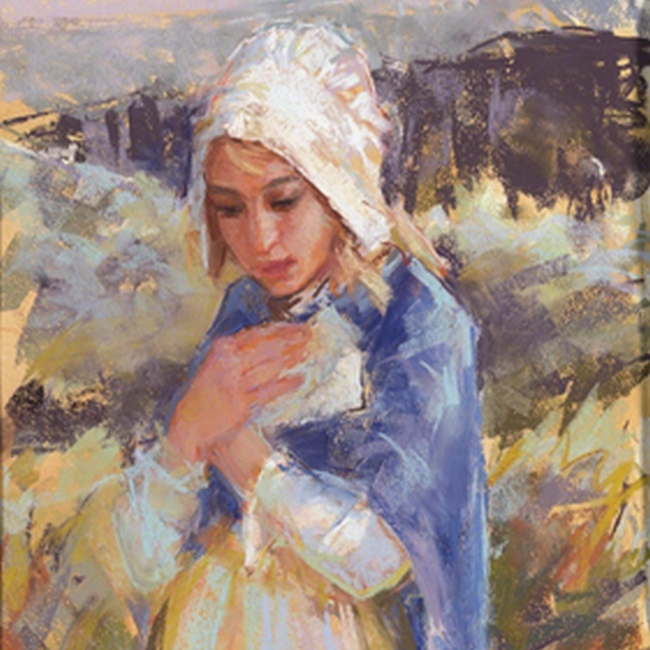 If I could be among the numberless throng that John saw whose robes were washed white in the blood of the lamb[,] I must[,] like them, come up through much tribulation and instead of thinking it hard that I have these difficulties to pass through, I count it all joy that I am counted worthy to suffer shame for his name. Eliza is truly an example of a virtuous women by her strong faith in the gospel despite the trials she would face (General Conference Talk “Pioneer Shoes Through the Ages”). Agnes Caldwell remembers Christena McNeil, a young woman who traveled with her family. Agnes’s mother, older brother, and Christena stopped at a fort in Laramie, Wyoming, in hopes of trading some trinkets for food. The officer there told Sister Caldwell that he had no use for the trinkets, but guided her to other booths where she may find someone who did. While Sister Caldwell was gone, the officer asked Christena to stay with him. He proposed to her, showing her how rich he was and saying that the handcart company would perish and never make it to Utah. Agnes says that Christena “told him in plain language she would take her chances with the others even though it might mean death.” The officer admired her “loyalty to her faith” and gave the family a large cured ham (I Walked to Zion). Mary Goble was only 13 years old when she left England for America. While trekking west, three of her siblings and her mother passed away. At the end of the journey, Mary and her remaining two siblings all had frozen feet. She recalls seeing tears in Brigham Young’s eyes at the sight of them. Mary’s feet were badly damaged from frostbite. The doctor wanted to cut them off at the ankle, but Brigham Young told him to cut only her toes off, promising Mary that no more would have to be removed. However, many months later, her feet still hadn’t improved. Mary went to the doctor who again said he needed to remove her feet at the ankle. She refused, remembering Brigham’s promise. One day, Mary was crying from the pain of her feet when a little old woman came into her home. She said she had felt that someone needed her there. I told her the promise that Brigham Young had made me. She made a poultice and put it on my feet, and every day she would come and change the poultice. At the end of three months my feet were well. When Mary went to the doctor, he assumed her conditioned had worsened. She told him her feet had healed and he did not believe her until she showed him. He said it was a miracle (Ensign article “The Faith of the Pioneers” ; Mormon Literature Sampler: Death Strikes the Handcard Company). Perhaps those who sacrificed the most were the mothers who trekked west. Many had to bear and bury children along the trail. Eliza R. Snow says that on the first evening of the journey, nine children were born. She also recalls a later birth that happened during a rainstorm in a crude tent. Several sisters held dishes to catch raindrops with in order to keep the mother and her infant dry. Zina D.H. Young, a wife of Brigham Young, gave birth in the back of a covered wagon. She halted the march of the company when it happened. Though the birthing conditions were far from ideal, these mothers carried on. Zina said that “I did not mind the hardship of my situation, for my life had been preserved, and my babe seemed so beautiful.” (Ensign article “Courage—The Unfailing Beacon”). I felt so bad my heart seemed to turn over. I had an impression not to look at my mother again, so I took my babe in my arms, stepped into the train, turned my face toward Zion, and left the home of my childhood, all my kindred and associates, for the gospel’s sake. She sailed to New Orleans and took a steamboat to St. Louis. While there, she boarded with an old woman and became ill because of the change in food. When Ann’s husband came for her, he told her that he had dreamed he died. He said that he was glad it was him because he thought Ann would do a better job at raising their child. Not long after, he contracted cholera and passed away. Ann “was left alone in the world in a strange country,” but she would work hard and raise enough money to travel west (“Autobiography of Ann Coope Harvey”). While on the trail, ten year old Ellen “Nellie” Pucell lost her parents. She and her sister Maggie continued with the handcart company until the two of them were so weak they collapsed. A handcart leader came by and put Nellie in the cart and had Maggie hold onto it and walk alongside. Because she walked by the cart, Maggie did not get frostbite. Nellie was not so lucky. When they reached the Salt Lake Valley, her feet had to be amputated. But Nellie did not let this drag her down. Though she had to walk on her knees for the rest of her life, she married and had six children. Though she was in pain for the rest of her life, her husband recalls that “there was no trace of bitterness, [only] patience and serenity.” (Chapter Six of Our Heritage ; “Pioneer Spotlight: Ellen Pucell Uthank”). 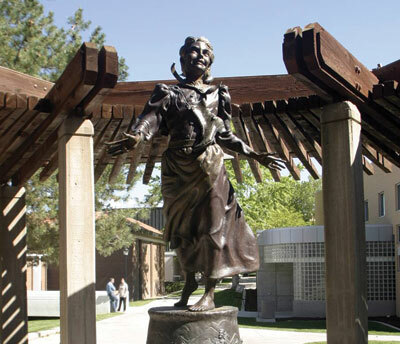 Nellie Pucell memorial located in Cedar City, Utah and dedicated by Gordon B. Hinkley. Courtesy of Nauvoo Times. Mary Bathgate and Isabella Park were both over 60 years old when they traveled to Utah. They were good friends and neither had ridden in a wagon the whole trip. 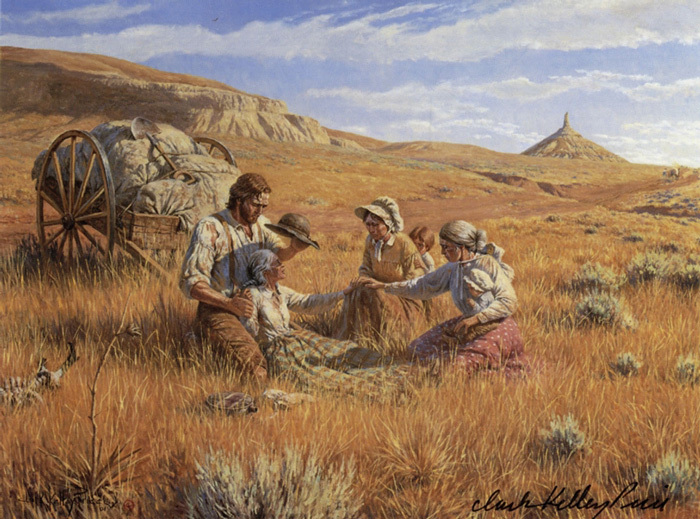 While traveling near Fort Bridger, a rattlesnake bit Mary’s leg and they sent a girl ahead to camp for help. At one point, Isabella tried to see how her friend was doing. The wagon driver did not see her and started to move the oxen forward. The first wagon wheel threw Isabella down and rolled over her hips. A brother tried to pull her out of the way, but the hind wheels went over her ankles. 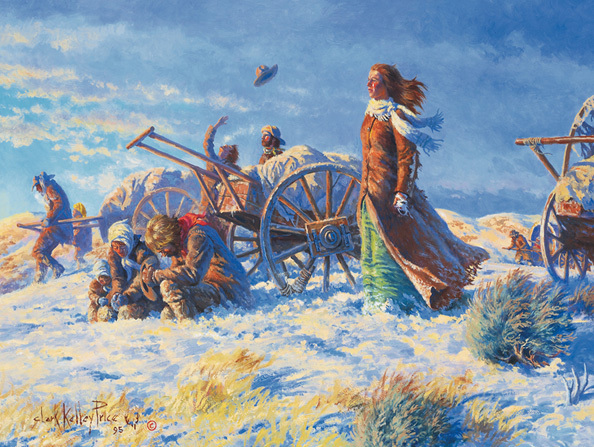 Despite the enormous weight of the wagon, Isabella, miraculously, had no broken bones (Ensign article “Following in Their Footsteps” ; Handcarts to Zion). Mary Fielding Smith was a stalwart example of a faithful pioneer. She was the widow of Hyrum Smith and traveled west with her brother Joseph Fielding and her son Joseph F. Smith. One morning, they awoke to find several of their oxen missing. Joseph and his nephew searched for them, but had no success. When they returned to camp, they found Mary kneeling in prayer. Afterwards, she went to look for the oxen herself. She walked along, even when a herdsmen stopped to tell her where he had last seen her oxen (in the opposite direction she was heading). Mary found the oxen, in a clump of willow trees. The herdsmen had hidden them there with the intention of stealing them. Along the trail, one of Mary’s oxen fell to the ground, convulsing as if poisoned. Many of the company believed he would die, but Mary asked that the ox be given a blessing with oil. It was done and the ox healed. Not long after, another of Mary’s oxen fell to the ground and also healed with a blessing. She continued on, and true to her word, Mary arrived in the valley a whole day before the rest of the company (I Walked to Zion ; “Mary Fielding Smith—Mother in Israel”). Though the pioneers suffered through many hardships on their trek west, they did manage to have some good times and laughter along the way. Sarah Loader Holman remembers a time between when her handcart company had run out of food and the rescue wagons from Salt Lake had not yet arrived. It was so cold that when the family tried to drive the tent pegs, the ground was frozen too hard to do so. However, the tent had gotten wet earlier and froze into shape while they were holding it up. The next morning, the two older daughters were so cold and tired they refused to get up. Sarah’s mother stood on her feet, and danced a jig! She slipped and fell which made the younger daughters laugh. Eventually, they all got up and continued the journey (The Improvement Era article “Sarah Loader Holman: Handcart Pioneer”). 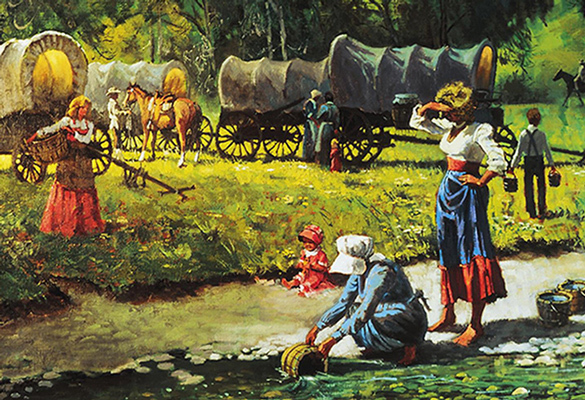 Margaret Judd enjoyed her journey to Zion as she had “many little romances.” Before she left Nauvoo, her “true lover” met her under their trysting tree. They promised each other “eternal constancy, for four years at least,” when he would come of age. Forty years later, Margaret met with him again after both were married and had children. Margaret would become very close with another young man in the company. He complimented her often and “even went so far as to say I was amiable, something I had never been accused of before.” The young man proposed to her and she said “yes,” but when they reached the valley, the flames of their love had burned away. He would marry another girl from the company “whose ignorance he had ridiculed to me many times. Such is the constancy of man!” (I Walked to Zion). 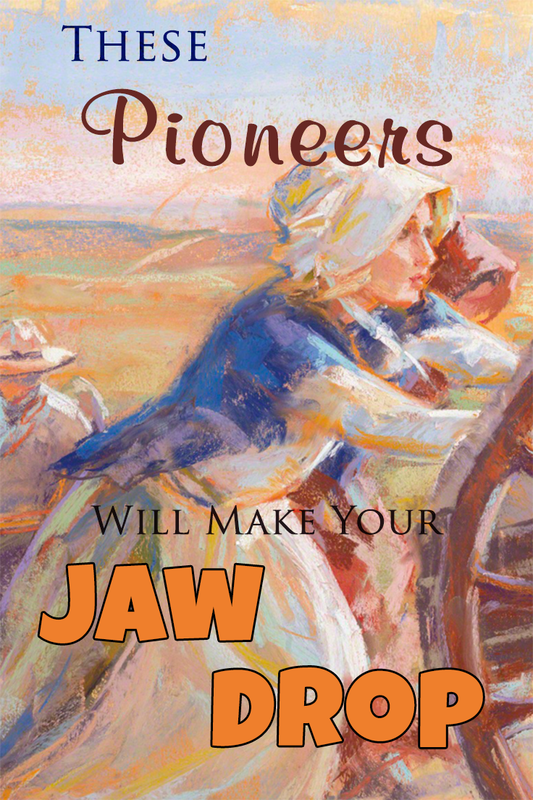 Her yelling soon stopped the wagon and brought help from the other pioneers. They did not want to cut her clothing since they had little to spare, so instead they had Rachel shimmy out of her skirts, petticoats, and even her shoes, to set herself free. A sister held up a blanket to retain Rachel’s modesty as she did this, and the clothing easily untangled from the wheel once she was out of it (The Improvement Era article “Pioneer Women”). After a time I was aroused by a voice, which seemed as audible as anything could be, and which spoke to my very soul of the promises and blessings I had received and that I had a mission to perform in Zion. I received strength, and was filled with the Spirit of the Lord and arose and traveled on with a light heart. When she reached camp, Susannah found a search party ready to go look for her. She continued on the trek, and the day she reached the valley was also the day she met her future husband, Thomas Lloyd. 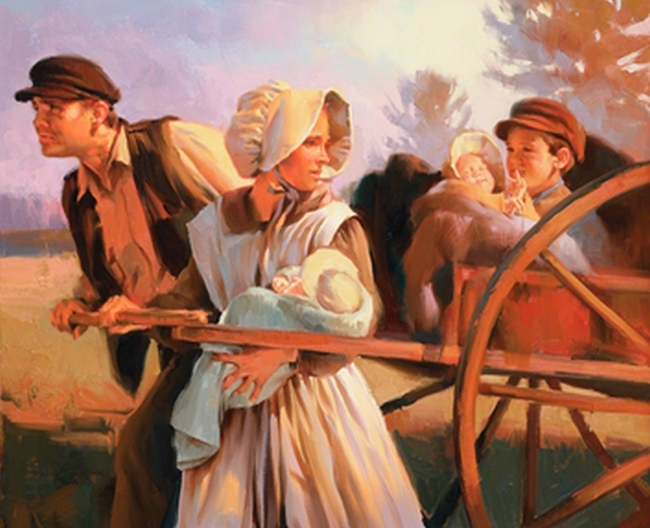 Susannah would have 14 children, and become Relief Society secretary (Follow Me to Zion). One day, Teresa Hasting Judd’s family cow, Bossy, went lame and could hardly walk. The family had already lost one of their cows and couldn’t afford to lose another. That evening, Teresa made a poultice and put it on Bossy’s hip. The next morning, when her husband checked on the cow, he informed Teresa that she had put the poultice on the wrong hip. Teresa’s daughter writes that “Mother said, ‘Never mind; it’s all right, it has gone clean through;’ and sure enough, Bossy limped a very little that day and was soon as well as ever. I know there was a great deal of faith mixed up with that poultice.” (I Walked to Zion). Mary Murray Murdoch, also known as Wee Granny, is a pioneer ancestor of my own. Mary joined the church in Scotland, and even though she was 73 years old, weighed 90 pounds, and was only 4 foot 7 inches tall (hence the nickname “Wee Granny”), she was strong in spirit and joined the Martin Handcart company to travel to Utah where her son, John, already lived. But Wee Granny never made it to Utah. She became ill and died near Chimney Rock in Nebraska. Though Wee Granny didn’t make it to the valley, one can see her enormous faith in her last words “tell John I died with my face toward Zion” (General Conference Talk “Hope”). “Tell John I Died with my Face Toward Zion” by Clark Kelley Price. Ann Jewell Rowley and her family joined the Church in England. But before they could leave for America, her husband died, leaving her with their seven children, all under the age of twelve. It isn’t easy to feed eight people along the trail, and at one point they had no food. 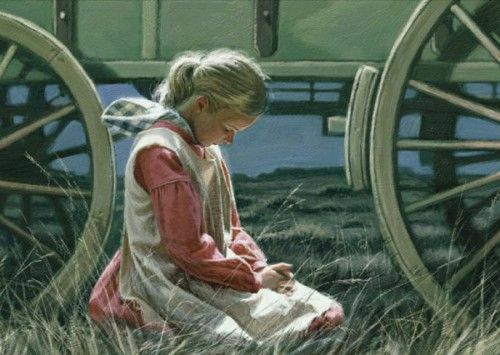 Ann hated to see her children pull the rawhide strips off the wagon to chew on, so she prayed to God for help. Surely, that was not enough to feed 8 people, but 5 loaves and 2 fishes were not enough to feed 5000 people either, but through a miracle, Jesus had done it. So, with God’s help, nothing is impossible. She placed the biscuits in a Dutch oven and covered them with water. She again prayed to God for help. After cooking the biscuits, she pulled the lid off of the dutch oven and was amazed to see it filled with enough food to feed her children (More Than Miracles ; Ann Jewell Rowley Autobiography). Jane Manning James was one of the first African-American Saints. She wasn’t born a slave, but a servant of a household in Connecticut. She and several other members of her family joined the Church and Jane led nine of them on an 800 mile journey to Nauvoo. 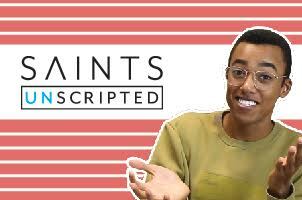 These early black saints showed amazing faith in prayer. Along the journey, their shoes became worn to nothing and soon their feet bled. 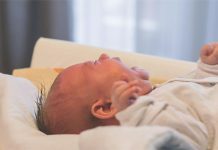 Jane writes that “we stopped and united in prayer to the Lord, we asked God the Eternal Father to heal our feet and our prayers were answered and our feet were healed forthwith.” Later on their journey, a baby became ill and when they prayed for the infant, it too was healed. 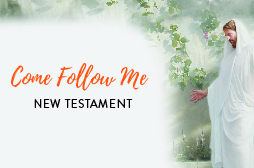 Despite wading through cold rivers and sleeping out in the snow, she says that “we went on our way rejoicing, singing hymns, and thanking God for his infinite goodness and mercy to us, in blessing us . . . protecting us.” They kept a strong spirit all the way to Nauvoo, where they were invited into the prophet Joseph’s home and told him their story. Jane would live and work in Joseph Smith’s home and later Brigham Young’s. She married another black Saint, Issac James, before leaving Nauvoo. She gave birth at Winter Quarters and traveled the rest of the way to Utah. Jane would always be known as a woman of strong faith and charity (Ensign article “Jane Manning James: Black Saint, 1847 Pioneer”). Mary Ann Stearns Frost was a widow when she married Parley P. Pratt. At the time when many of the Saints left to go west, Parley P. Pratt was serving a mission in South America and Mary did not have the means to travel to Utah. A.W. Babbitt visited the family before leaving for Zion and informed Mary that he had put a hundred dollars in the emigration fund for her. John A. Kelting also visited before returning to his home in Philadelphia and told Mary that he too had put a hundred dollars in the emigration fund for her family. Not long after that, Mary was visiting a Sister Ellison, who inquired about her preparations to go to Zion. Mary told her that she still needed a team and a driver, and Sister Ellison informed her that she had a boarder available as a driver and in possession of a team. All of these events happened within a week’s time (I Walked to Zion). Fanny Fry was only 16 when she and her siblings left England. When passing by the Elk Horn river, her feet became so swollen she could not wear shoes. The swelling would eventually go away, but her feet were so sore from alkali that she did not wear shoes for the rest of the journey. One day, Captain Rowley assigned her and two others to pull a handcart laden with six people’s luggage. It was very difficult to pull, and Captain Rowley kept calling them lazy. Suddenly, Fanny fell under the cart and it rolled over her. Her friend, Emmie, came to Fanny and could not find a pulse. Captain Rowley checked as well and found no signs of life on Fanny. Fanny woke up later with her grave dug two feet deep and several sisters sewing her in a blanket up to her waist. One can only imagine their shock. Fanny was weak for the rest of the journey, but she was alive. After the rescue wagons reached the company, Fanny was learning to ride a horse over Big Mountain when a wagon of well-dressed women approached. One of them cried “there goes my sister” and it was. Fanny’s sister, Sarah, had arrived in the valley earlier and now they were reunited (Heritage Gateways: “Fanny Fry Simons”). Margaret McNeil traveled from Scotland when she was 12 years old. 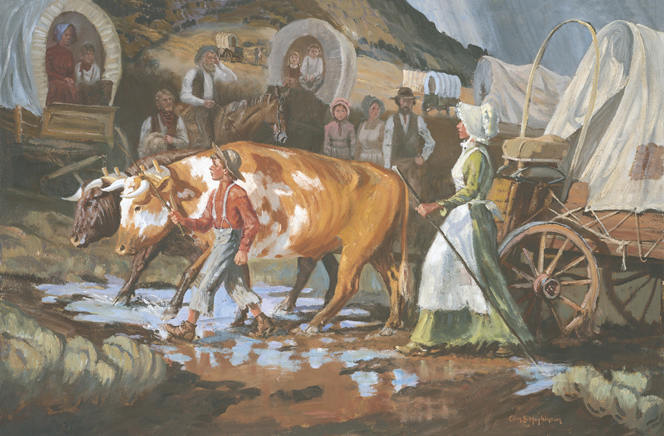 When the journey first began, the McNeil’s oxen ran away, and her four year old brother, James, became ill with measles. But Margaret’s mother wanted her children to go with the rest of the company. She strapped James to Margaret’s back with a shawl, promising to catch up with them later. Margaret would carry her brother most of the way to Utah. Margaret also had the responsibility of taking care of the family cow. One evening, the cow wandered off and Margaret went to look for it without wearing her shoes. She suddenly felt herself walking on something soft, and looked down to find herself standing in a bed of snakes. Though scared, Margaret said a quick prayer and jumped out of the bed, unharmed. Betsy Smith was a young girl who left Scotland with her family to go to Utah. In Iowa, she became so ill with scarlet fever that she could not open her eyes. She remembers overhearing a Sister Henderson saying “I am sorry she is dying; another death in the camp soon!” Betsy began to cry and when her mother asked if she was worse, Betsy said, “Mother, they think I am dying; I want to live and go to the Valley.” Her mother asked that Betsy be given a priesthood blessing, after which Betsy quickly healed. At one point in the journey, her company had traveled five weeks without stopping to rest on Sundays. They lost several of their cattle to a stampede and the captain thought that they “had done wrong in not stopping to worship on the Sabbath day, for we had lost more than we had gained.” They rested on Sundays after that and felt better for it. Another time, the company was traveling through a snow storm that was so fierce even the oxen refused to walk in it. The captain gathered the company together for a prayer. Betsy and many other members of the company felt the presence of the Lord nearby. After the prayer, “the storm parted to the right and to the left!” and they were able to travel onward. Perhaps the most interesting of Betsy’s stories deals with some parsnips. A man found them, and soon the members of the hungry company had had their fill of parsnips. When the captain came back to camp later and learned what they had done, he was horrified, telling them that the parsnips had enough poison in them to bring down an ox. Miraculously, the members of the company were fine, and glad they had eaten the parsnips before knowing they were poisonous. Betsy says that “we did not realize the truth of his words until the next morning when one brother died—a Scandinavian. We supposed that he had eaten them after he knew they were poison.” (The Improvement Era article “The Tired Mother: Pioneer Recollections”). Finally, when Agnes thought she could go no more, Kimball pulled her up into the wagon and wrapped her in a blanket. 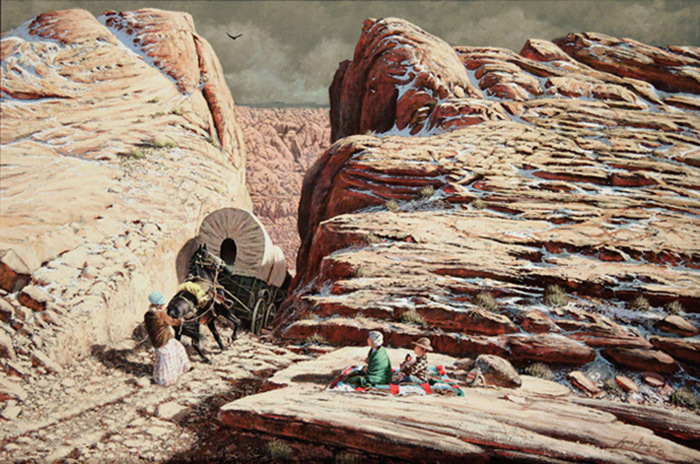 “Here I had time to change my mind, as I surely did, knowing full well by doing this he saved me from freezing when taken into the wagon.” (I Walked to Zion). Elizabeth “Betsy” Cunningham’s family joined the Church in Scotland and left for Zion when she was a young girl. One morning, her family found Betsy had died in her sleep. They could not bury her in the hard, frozen ground, so she was left wrapped in blankets. When the company reached camp, Sister Cunningham felt impressed to go back for Betsy, remembering a promise made to her in Scotland that if she was faithful, all of her family would make it to Zion. She returned to Betsy, who was remarkably undisturbed by wolves. Sister Cunningham carried her back to camp and started to rub her body. Some hot water spilled on Betsy’s foot, which sent a quiver through her body. Betsy lived, just as had been promised to her mother (More Than Miracles). Jens and Elsie Nielson were a prosperous Danish family when they joined the Church. They gave up much of their money to travel to Utah and to help others along the way. The Nielsons suffered many trials on the trail, including the deaths of their only child, Niels, and Bodil Mortensen, a young girl who had been placed in their care. At one point on the journey, Jens’ feet were frozen by the bitter cold and he could not walk. He told Elsie to “leave me by the trail in the snow to die, and you go ahead and try to keep up with the company and save your life.” Her response: “ride, I can’t leave you, I can pull the cart.” Even though she was under five feet tall, she pulled her handcart with her husband in it. (General Conference Talk “Faith in Every Footstep” ; Follow Me to Zion). Before the trek to Utah, 28 year old Phoebe Carter had to be a pioneer in her own right. She lived in Scarboro, Maine and wanted to join the saints in Kirtland, Ohio. Her family and friends all pressured her to not go. Her own mother said that “she would rather see me buried than going thus alone into the heartless world” and begged her to return if she found that the Church was untrue. Phoebe made the long, 750 mile journey all alone. Her travels would not end in Kirtland. 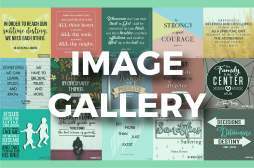 She married Wilford Woodruff and journeyed to Missouri, Nauvoo, Utah, and on three of Wilford Woodruff’s missions to the Fox Islands in Maine, England, and back to the Eastern States (Ensign article “Pioneer Faith and Fortitude—Then and Now” ; Representative Women of Deseret). 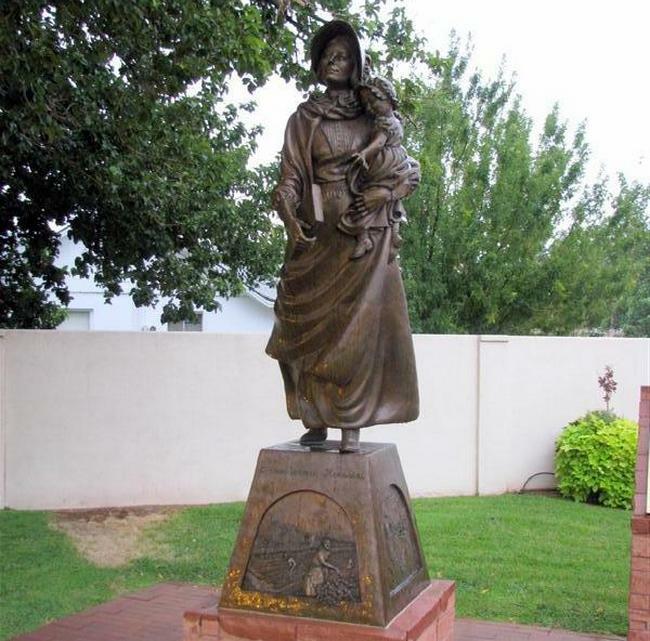 In 1880, Arabella “Belle” Smith became a member of a group of pioneers traveled to settle the San Juan Mission in the southeastern part of Utah. However, their situation looked grim with a fast approaching winter and a large group of people who did not have the supplies to wait through it. The company decided to take a risky short cut instead. The short cut was the Hole-In-The-Rock, a narrow crevice in the wall of Glen Canyon. It was a very precarious route to take, with a 2,000 foot drop at a 45 degree angle. The company worked hard to widen the hole, make a trail down, and set up a ferry to cross the river at the bottom. 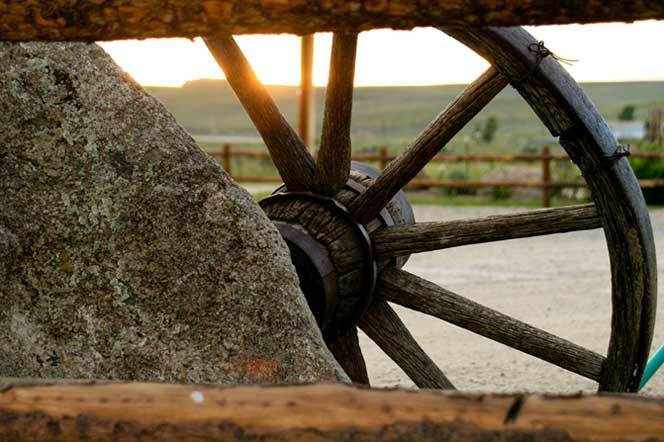 In order for covered wagons to go safely down the steep path, the wagon breaks were put on and several men would pull the wagon back with ropes and chains to keep it from careening down the slope at breakneck speeds. Elizabeth M. Decker wrote that the first wagon to go down had ten men pulling it back. 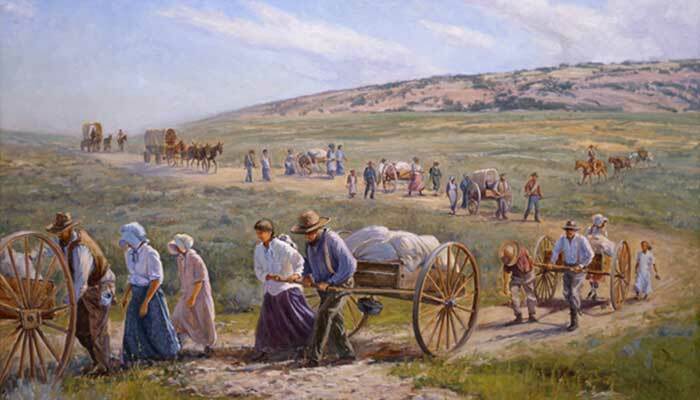 Joseph Stanford Smith helped others with their wagons all day long. His wagon and family were the only ones left, but despite Stanford’s assistance, the rest of the company seemed to have forgotten his family and ferried across the river. Stanford did not believe they could go down the slope alone, but his wife, Arabella, said that she would pull the wagon back. They left their three children to wait and hooked up a horse to the back of the wagon to help Arabella. When they started down, Arabella and the horse were immediately thrown from their feet. The poor horse fell on it’s haunches and was dragged most of the way down. Arabella managed to regain her footing, though not before a sharp rock gave her a horrible gash from her heel to her hip. She pulled back as hard as she could and “crow hopped” the way down as she put it. After retrieving their children, the Smiths continued on their way and met up with five men from the company. They had finally remembered that they had left the Smiths behind and came to help. Stanford told them “forget it, fellows . 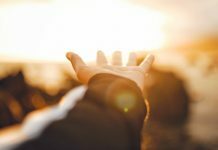 . . My wife here is all the help a fellow needs.” (Ensign article “Hole-in-the-Rock” ; General Conference talk “The Future History of the Church”). Death was nothing to them. Hardship was nothing. Cold or rain, or heat, was nothing to them. All they felt and knew and desired was the triumph of the kingdom of God and the truth that the Lord had given to them . . . My soul, where are these women now? Are these pioneer celebrations academic, merely increasing our fund of experiences and knowledge? Or will they have a profound impact on how we live our lives? We learn from our pioneer heritage how to become stronger, better people. 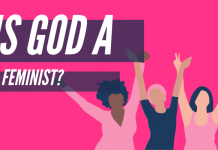 We learn from these incredible pioneer women that God does watch over us, that we can overcome any challenge, and that through God anything is possible. What amazing pioneer stories do you know? Let us know in the comments!